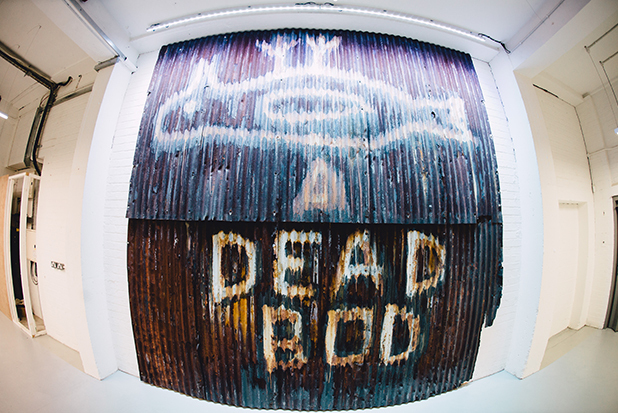 Dead Bod, originally painted on a shed at Alexandra Dock in the 1960s, was a familiar sight for sailors and trawler-men sailing to and from Hull. Dead Bod was painted by Len ‘Pongo’ Rood, potentially as a drunken prank, on a bored Saturday afternoon. Afterwards he told friends the story behind the image he created. In 2015, there were plans to demolish the shed on which it was painted. Coverage in the local press led to a successful local campaign to preserve Dead Bod. It currently resides in 64 cafe and bar.